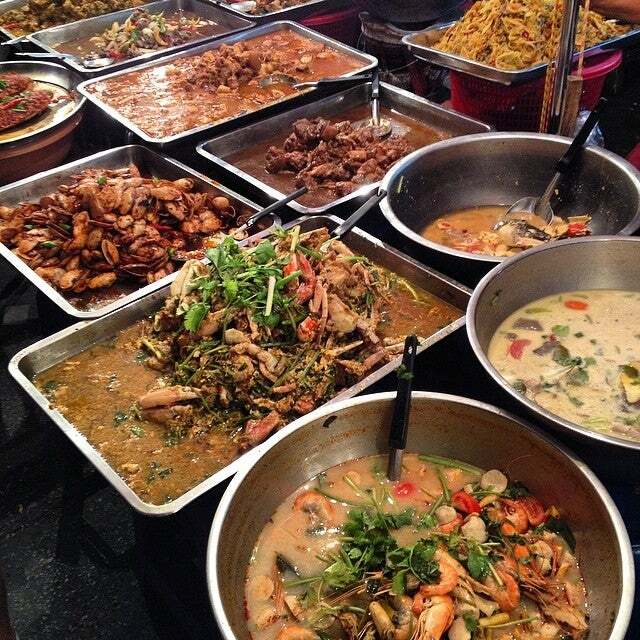 Chiang Mai Gate Market is one of the best markets to pick up a cheap and tasty feed. It has everything you could ask for. 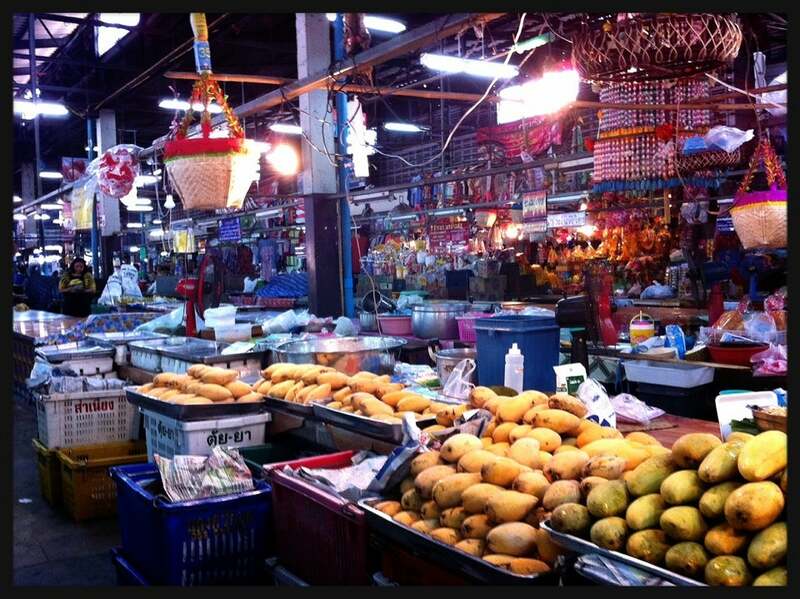 Why Chiang Mai Gate Market is special ? Chiang Mai Gate Market is a 24/7 market. This place never closes down, ever. There are always traders here selling everything from bananas to live fish. This is a must place to go for dinner any evening your in Chiang Mai. Just before sunrise, the local markets become a hive of activity. Markets offer the basics necessary for the local Thais to make breakfast, offer alms for the monks, and small meals for people on their way to work. When the sun starts to go down (5 pm+/1700 hr+) there is a whole new breathe of life in Thailand. The air cools, night markets come to life, street food carts are set up, and the locals come out to play! 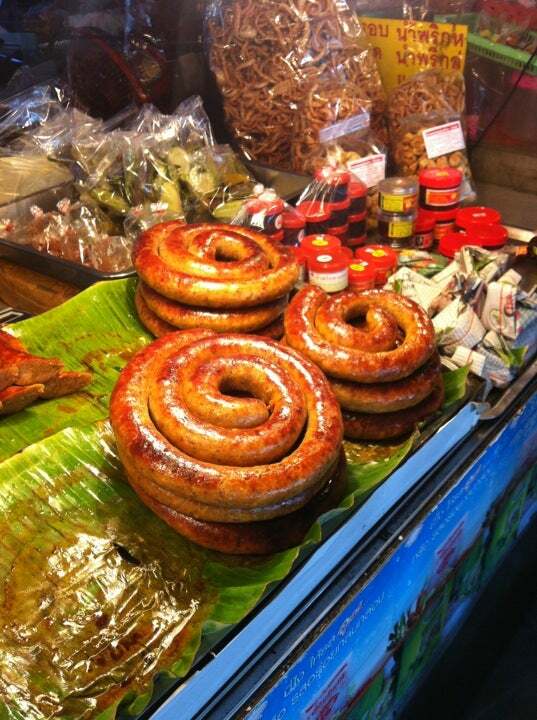 What to explore at Chiang Mai Gate Market? This is one of the best markets to pick up a cheap and tasty feed. 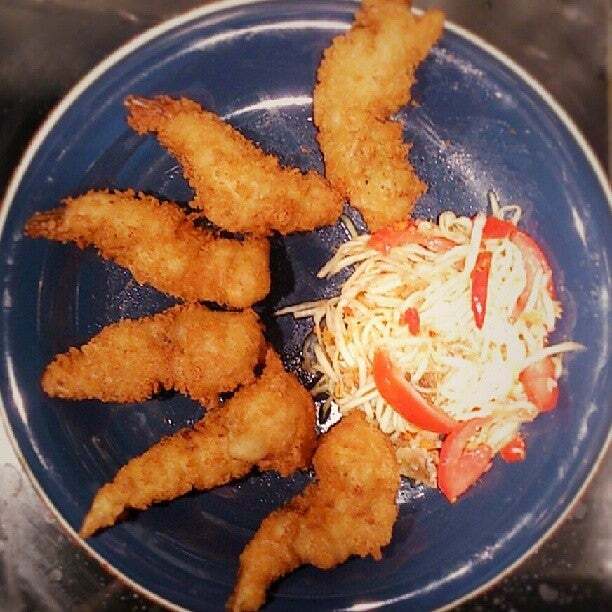 It has everything you could ask for from Phad Thai, soups, curries, fried food to dishes in pots where you have no idea what they contain. In the square, everything is cooked to order and you can take a seat at the plastic outdoor tables. The vendors lined up along the market edge serve pre-made goodies and sweet treats. There are also a few vegetarian stalls here – look out for the red and yellow “เจ” sign. You could eat every night at this market and never get bored! 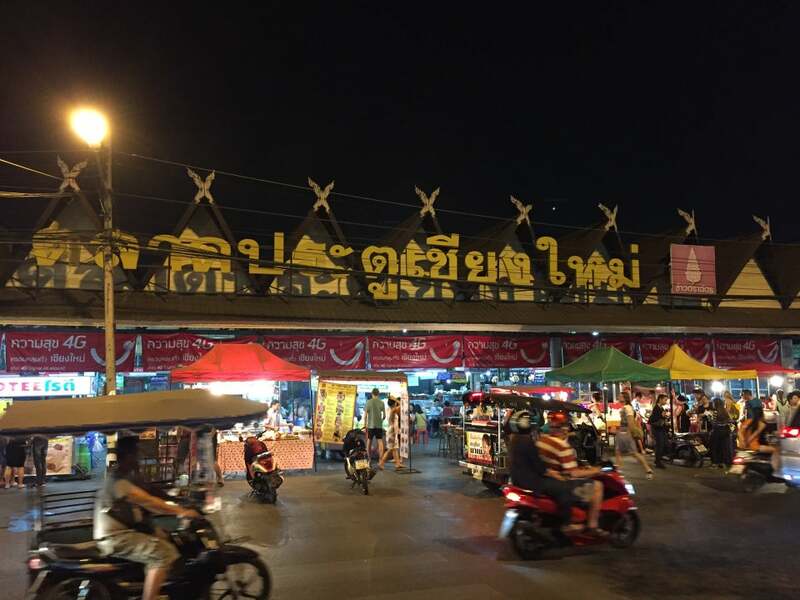 How to get to Chiang Mai Gate Market? Chiang Mai Gate Market is located on Bumrung Buri Rd and Phra Pokklao Road. Tuktuk and taxi is the best way to get there. Saturday nights are very crowded, because of the Saturday Night Market, it might be a good idea to avoid the market on Saturday evenings, except if you want to go to the Saturday Night Market of course. Highly recommend the fruit smoothies, where you can choose a variety of fruit for just 20 baht . Be aware of the traffic if you come by car or motorbike (or even bicycle)! The street is quite narrow, and many cars and motorbikes park everywhere. People whose stomach is not good, be careful when trying the dishes here, although they are very good looking. Just outside the southern wall of the old town, these food trucks offer a decent variety of northern Thai street food for that late night supper. The market itself operates in the day. One of the best pieces of advice we had was to go to the South Gate food market before 8am. If you make the effort it's well worth it! There are stalls to pick up a meal like at night, but this is the main time when all the locals/stall owners buy their supplies for the day and it's amazing! So many colours/aromas and it's unbelievably cheap. We were the only Westerners in the whole market that day and it was an awesome way to begin our experience in Chiang Mai!